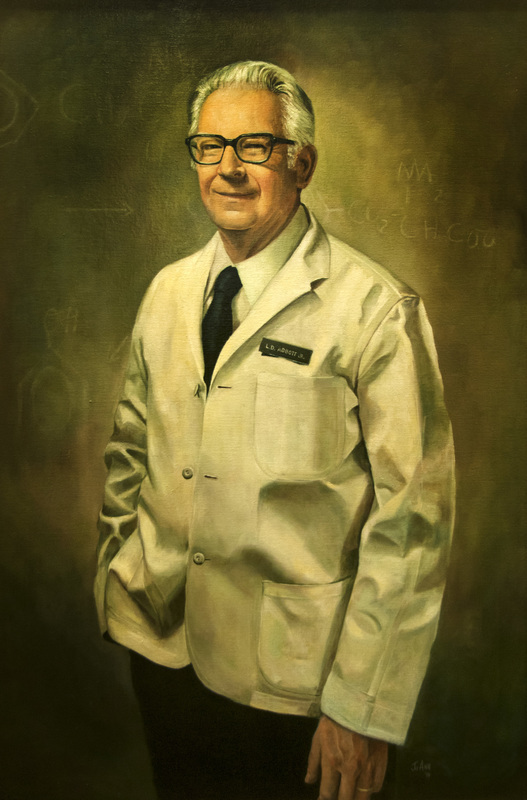 Lynn DeForrest Abbott, Jr., a native of Ithaca, NY, earned his bachelor’s and master’s degrees at Wayne State University and his doctorate at the University of Michigan in 1940. He joined the biochemistry department at the Medical College of Virginia (MCV) that same year. In 1943, Abbot enlisted in the Navy and served as a navigator in the Aleutian Islands during World War II. He returned to MCV in 1946 as an assistant professor of biochemistry and later became a full professor. He served as department chair from 1962 until his retirement in 1976. During his tenure the department grew from four faculty members to a dozen. Abbott was known for his work in the field of metabolism and it has been estimated that his research influenced more than 10,000 medical professionals.